I really recommend checking out these links if you have more than a passing interest in the subject (or to verify that I really can’t take credit for much in this post!). 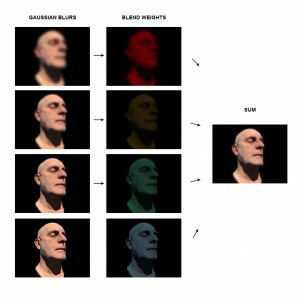 Finally, Gaussian convolutions are an important concept in what follows so if you’re hazy on the subject, read up on Gaussian blurs and how to implement them on compute shaders (explained in any decent DirectX 11 intro book, or here). The head model used in the screenshots is provided by Ten24 here. Simply put, light can do two things when hitting an object. Either it reflects (specular reflections) or it enters the object. In the latter case, it bounces around inside for a bit before re-emerging at the surface (diffuse scattering). The properties of the material define how far the light is likely to travel before exiting. This distance is often so small that we traditionally assume that it emerges at the same exact point it enters. This distance can however be quite large for translucent materials and this assumption fails to result in convincing images; surfaces look to harsh or claylike. As light passes through, parts of its spectrum get absorbed. In other words, light tends to discolour more the further it travels underneath the surface. The function of discolouration over distance is expressed using a diffusion profile (refer to d’Eon). Some materials consist of several layers that absorb light differently (consider the layers of skin: oil, epidermis, dermis) so the diffusion profile can get quite complex. d’Eon uses the sum of 6 Gaussians to approximate the profile for skin, and Jimenez further reduces it to 4 (which can be implemented as 3, more on that later). Again, I suggest reading those articles if you haven’t yet, I don’t want to repeat them too much. Translucency results in a couple of visible effects, depending on where the light enters and exits the surface relative to the viewer. We’ll deal with each in separate ways. Back-lit transmittance: Light enters the back side of an object and exits from the front. Same-side surface scattering: Light exits on the same side of an object. 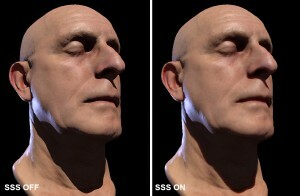 Both back-lighting and same-side surface scattering should be supported. 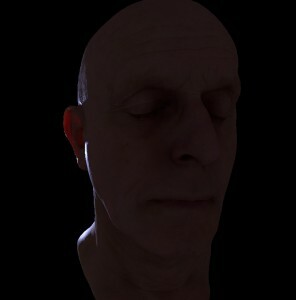 It needs to work nicely with Helix’s deferred rendering pipeline. This meant working in screenspace. Layer 3 is irrelevant for subsurface scattering since it’s only used for specular reflections. 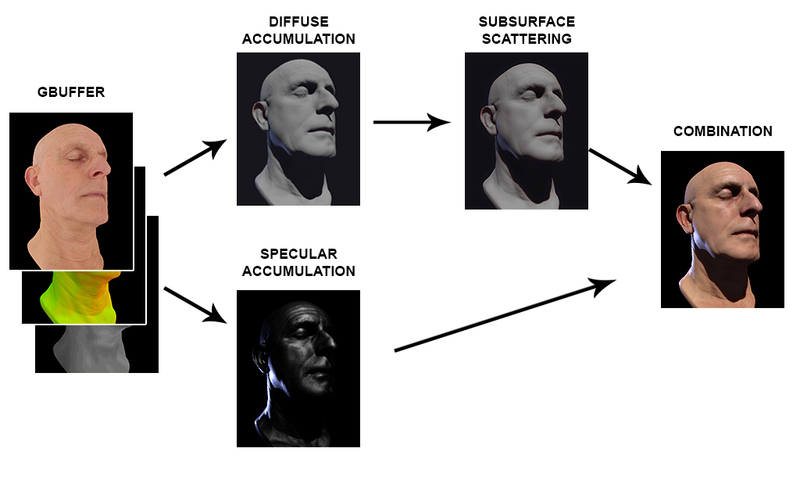 In case you’re interested, it’s not unlike Unreal Engine 4’s approach to specular representations. Translucency: The amount of back-lighting allowed to pass through the surface. Extended material profile: Contains an ID of the surface type. For example: 0 = default, 1 = skin, 2 = marble, … More on that later. 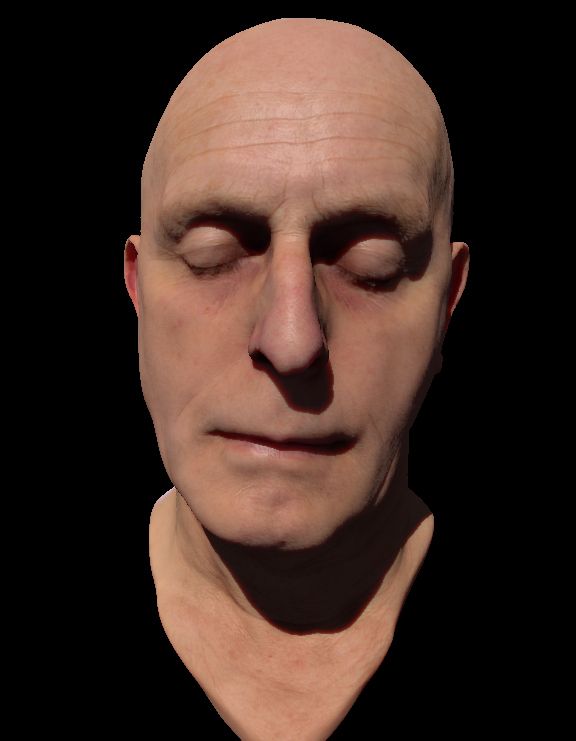 Render material properties to the GBuffer. Why doesn’t the diffuse accumulation buffer have albedo applied, you ask? It probably doesn’t matter all that much, but my reasoning is as follows: albedo maps are usually generated from scans in evenly lit situations and as such already exhibit a degree of subsurface scattering (that’s why they are coloured the way they are in the first place!). Similarly, maps created by artists tend to mimic this look as well. What every property means will be explained as we go. transmittanceCoefficient is a simple colour value to modulate the amount of light transmitted. This approach is useful for thin surfaces such as leaves or paper. For objects with more volume we need to calculate (or rather: estimate) how far light has travelled through the object in order to know how much of it is absorbed. This is in fact the same as we did way back in Away3D Broomstick. To recap: we get the depth value from the shadow map and use that to calculate the position of the occluder (not sure how?). We can use the distance between the occluder and the shaded point as an estimate of how far the light has travelled through the object. Unfortunately, this approach requires lights to have shadow maps associated with them. Helix simply ignores distance-based transmittance for those that don’t. You may also want to consider storing linear depth values for point and spot lights to prevent reduced precision further away from the light. The enableDistanceBasedTransmittance property dictates which approach is used. For leaves, we’d set it to 0, for skin we’d want 1. 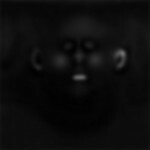 The amount of transmitted light is modulated using a transmittance mask, the values of which are written to the GBuffer. You could also use the diffusion profile to calculate the transmittance (which is something I’ll probably experiment with at some point). For now, this is faster and quite acceptable. 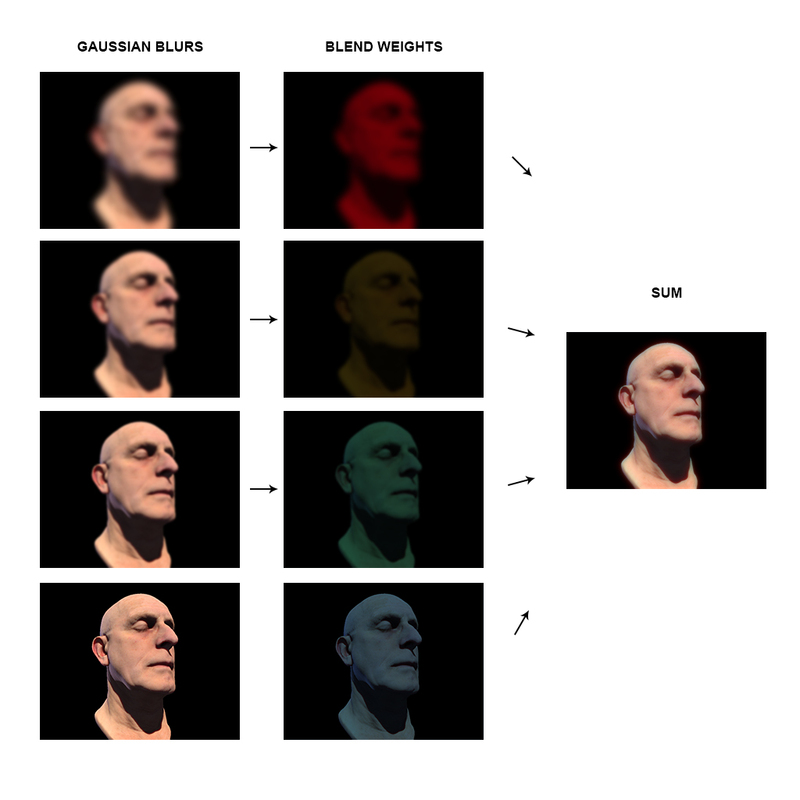 Jimenez’ approach can be thought of as performing 4 Gaussian blurs on the image and blending them together with different weights per colour channel. Note that the sum of all blend weights must be 1 for every colour channel or energy would be lost or gained when compositing. As you can see, the real distances to the central point are quite different. This can lead to an over-contribution of samples at strongly varying surfaces, manifesting in halos. In my implementation, I used the depth buffer to reconstruct view space positions to get actual view-space distances. While still not a correct estimate of how far the light has travelled underneath the surface, it’s a better approximation. However, it also means that the samples aren’t necessarily evenly distributed with respect to the Gaussian curve. This is really only a problem at discontinuities and is in my opinion less objectionable than halo artefacts. Since our sampling weights are not known beforehand, we need to manually normalize the calculation. This means we’ll need to sum all calculated weights and use it to ‘average out’ the total. There’s some extra benefits to this approach. Because we’re manually normalizing the total, we don’t have to use a fixed sample count: we can limit the sampling to exactly the pixels we need. A traditional Gaussian convolution with precomputed weights would require us to sample points, even if the radius is less than pixels. This doesn’t really contribute any new info (sampling 11 points across 4 pixels is a waste). Similarly, when the radius exceeds , we can now add the contribution for every pixel, increasing the quality. A smaller bonus is that the Gaussian calculation can be a bit simplified. The gaussian functions themselves don’t need to be scaled with a normalization factor as it will be implicit in the total (ie: we can drop the factor in the Gaussian formula above). Using the real distance and a manual normalization isn’t without its drawbacks, however. Most obviously, the position needs to be reconstructed from the depth buffer. This means extra texture fetches and calculations. Furthermore, we can’t precompute the sum-of-Gaussians and store them in a lookup texture. Every Gaussian will need to be calculated separately, and a total weight should be counted for each, so that each curve can be normalized individually. If we wouldn’t do this, we’d get an incorrect balance between the layers. Finally, Jimenez observes that the first Gaussian for skin has such a small variance that it usually wholly falls within a single pixel. This means that we can just calculate 3 Gaussians and the value from the original diffuse buffer’s value. 2D Gaussians are separable: it’s identical to a horizontal 1D Gaussian followed by a vertical one, reducing the amount of samples necessary to instead of . However, this is not the case with depth-dependent Gaussians, nor the sum of several. However, ignoring this and merging everything in 2 passes anyway (instead of doing it in up to 8) doesn’t result in a noticeable difference. I needed to use the histogram in Photoshop with the “difference” blend layer to verify that there was in fact a slight difference, mainly due to the wider red Gaussian. In any case, it gets my pseudo-separable stamp! Performing 1D convolutions sampling only at pixel centres is pretty efficient using compute shaders, meaning we can get higher fidelity and less noise than using a fragment shader using jittered samples. 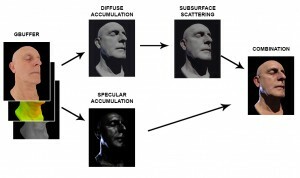 enableSubsurfaceScattering; Indicates whether or not subsurface scattering should be performed for this material. numGaussians: the amount of Gaussians. 3 for skin, for example. subsurfaceRadius: the sample radius in meters of the largest Gaussian, derived from the variances. originalBlendFactors: the amount of unblurred diffuse lighting that is blended in. 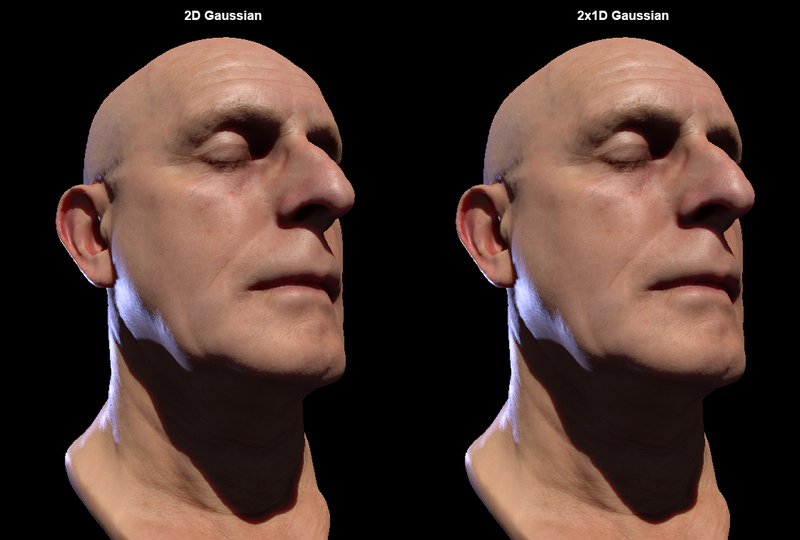 This is used to replace the smallest Gaussian for skin. subsurfaceBlends: the amount of blending for each Gaussian layer. Summed all together with originalBlendFactors, it needs to form 1 for each channel. // Gaussian is expressed in terms of millimeters, radius needs to be in meters, so divide by 1000.0f! Retrieve the extended material ID. Project the sample radius using the camera to get a radius approximation in screen space. Loop over all samples falling within the projected sample radius. “Average out” total radiance using total weight count. // Retrieve the view vector for a given pixel coordinate. // Unproject a value from the depth buffer to the Z value in view space. // Store all radiance samples and view-space positions in groupshared memory. // the central pixel is placed in "groupThreadID.x + MAX_RADIUS"
// Remember the central pixel is placed in "groupThreadID.x + MAX_RADIUS"
I’ll leave you with an observation. Recently, I’ve been watching Breaking Bad (yeah, I’m way behind on the cool stuff). 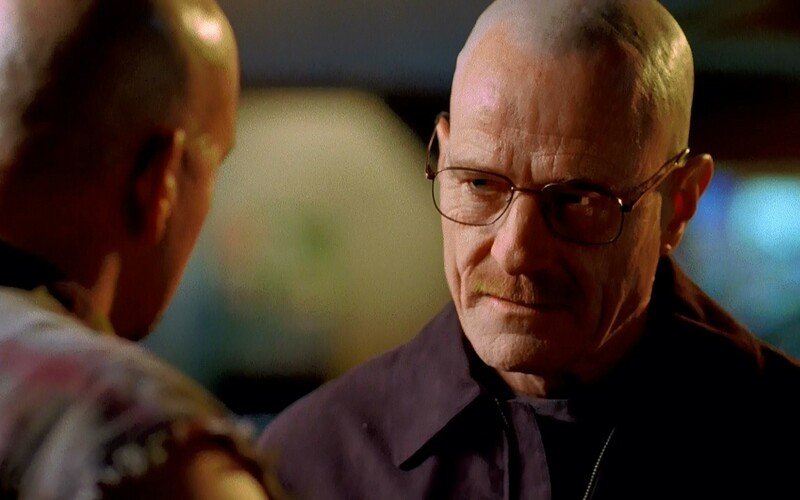 Don’t you think Cranston has the best distribution profile going on? 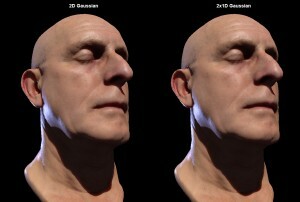 I’m interested in the gaussian blur, did you find the compute shader for the Gaussian to be faster then using pixel shader? I found performing gaussian blurs on compute shaders were to be very efficient, since you can pre-fetch texture samples into groupshared memory, which is then faster to read by other threads. This means that each sample only needs to be read once from the texture (per thread group that is) instead of for each pixel within the kernel radius. Of course it depends on the actual kernel radius used, but for large ones (as can be the case with subsurface scattering for surfaces close to the camera) it definitely improves things. 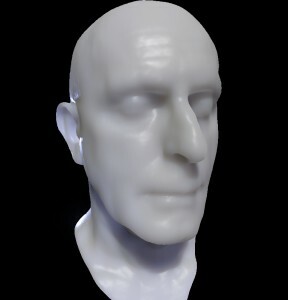 Very good article about the subsurface scattering. Could you share the complete demo code? Many people understand code better when they can actually play with the demo. Thanks!